Central Dauphin High School Alumni! This is the ONLY site connected to the CDHS Alumni Association. We also have a Facebook page - "Central Dauphin HS Alumni Association"
Check Out Chocolate Outing 4 Alumni! The Central Dauphin High School Alumni Association (CDHSAA) is sponsoring another great social event on Wednesday, April 10, 2019, from 6 PM to 9 PM at the Cocoa Diner, 590 E Main St, Hummelstown, Pa. The diner is a BYOB, so feel free to bring along your favorite adult beverage. The event will be: order from the menu (at your expense with a 10% Discount), lots of chatter for free, meet your friends, and get some great CHOCOLATE for dessert from the Central Dauphin High School Alumni Association. It will be another fun evening for everyone who attends! Registration: $25 entry fee until 3/31/19. Registration price increases on 4/1/19. 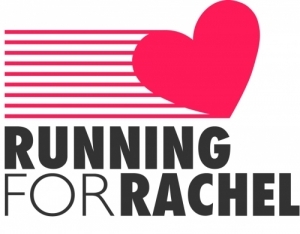 All pre-registrants will receive a Running for Rachel T-Shirt and race goodie bag. Due to limited quantities, T-shirts are NOT guaranteed for registrants on race day. Please register early! THE ALL ALUMNI PICNIC IS COMING BACK!!!!! We hope that you will be able to join us, so put the date on your calendar.......... Additional detailed information is on our Ticket Order Form, so CLICK HERE to see it. The second All-Alumni Picnic Planning meeting is scheduled for Sunday, April 28th, 2019 at 2:00 PM at Epiphany Lutheran Church, 1900 Colonial Road. If you are interested in helping to plan or help in any way with the August 17th picnic, please plan to attend this meeting and RSVP to Betty Miller, 717-652-7047 or cdhsaamembership1@comcast.net by Friday, April 26th. 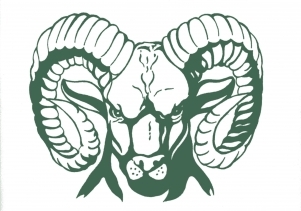 The Central Dauphin High School Alumni Association has begun the sale of its 13th annual “CDHSAA Discount Card”. Available to everyone in the community, the cards provide 12 months of discount offers at 42 local merchants: favorite restaurants & coffee shops; drycleaners; beauty & nail salons; auto tires, oil changes & repair; mini-golf courses; florists; and more. At just $10 each, the cards have the potential of providing you with hundreds of dollars of savings during the 2019 year. Even if you only use your card once or twice, you can easily recoup the purchase price, and if you buy 5, you’ll receive a 6th one free! CDHSAA Lifetime Members get "BOGO - Buy One/Get One free". A complete listing of participating merchants and their discount details is available by clicking HERE by calling 717-652-7047, or Emailing cdhsaamembership1@comcast.net. To expedite the process, enclose a SASE (#10, business size) to CDHSAA Membership, 4104 Hillsdale Rd., Harrisburg, PA 17112, with your check payable to CDHSAA. Each card will come with a copy of the Participants List. ​Attention CDHSAA Lifetime Members: Please be sure to add our email address to your Safe Senders List - CDHSAAMEMBERSHIP1@comcast.net - to ensure that you are receiving our messages and newsletters. The February newsletter was sent out on Feb. 27. ​We have a limited supply of past editions of The Centralian, CD's yearbook, for sale. To find out if we have surplus copies of the issue you need, contact Dave Johnston at fordman1@pa.net . Prices vary depending on quantities. A Lifetime Membership for the CDHSAA is only $30, and entitles you to voting privileges at meetings, agendas & meeting minutes, email updates, and discounts to Alumni Association sponsored events, such as our summer picnic. Two married graduates can join with a "Sweetheart" Membership at $50. VETERANS -- CD graduates who are active, honorably discharged, or retired members of our armed forces are eligible for a complimentary Lifetime Membership. Non-grads are "Friends of CD". Faculty (active or retired) are "CDHSF"
Your membership fee also supports this website and the Scholarship Fund for CD's graduating seniors, maintenance of the database of alumni information, and ongoing good-will projects within the community and the school. We publish quarterly newsletters and have created an "Alumni Discount Card" (which will be provided free to Lifetime Members during the first year of membership.) The application form also has a section for you to make an additional donation directly to the General Fund and/or the Scholarship Fund. Click here to see our Lifetime Membership Application.